It is good to obtain a Basic Offshore Survival & Firefighting certificate before considering an offshore oil rig job onboard a drilling rig platform. The entire course for this certificate takes no longer than one and a half days, and is more likely to be very physically demanding and really challenging, but this is not easier than working on a offshore drilling rig, indeed. 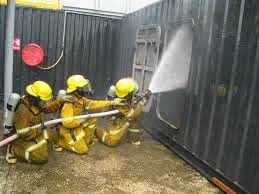 Once you finish the training course, you will get the Basic Offshore Survival & Firefighting certificate, which will be valid 4 consequent years, and it's going to be a great advantage among others, that apply for offshore oil rig jobs. 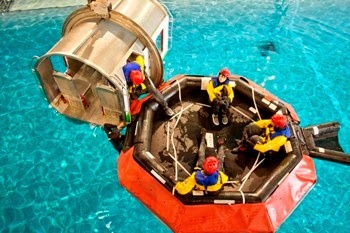 On the training course for Basic Offshore Survival & Firefighting, you will learn how to put a life jacket, how to climb on a rope on the drilling platform, you will also learn some swimming techniques, safety rules on the oil rig, as well as in water and many other techniques and skills, which will be really valuable and required from the HRs when it comes oil rig jobs. If you require further information on oil rig training courses or about other employment in the oil rig jobs industry, please contact us, using the contact details on our ContactUs page.